LET’S hope that somebody remembers to tell Bryson DeChambeau and Kevin Na that the QBE Shootout at the Tiburon Golf Club in Naples, Florida, is meant to be a fun event. This is an end-of-year bash that gathers 24 golfers playing in pairs and DeChambeau and Na are playing together. They are two of the most deliberate golfers on the planet so let’s hope they are able to get on with it. It’s a safe bet that if they don’t then their playing partners - and, indeed, the gallery - will be giving them some stick. This is, of course, a time of year when players can take their foot off the gas and go out and enjoy themselves while collecting vast amounts of money to help boost the Christmas present fund. Nobody is supposed to take it seriously, but none of these players ever turn up at any tournament without wanting to win - and this will be no exception. There will be plenty of attention focused on there pairing of Tony Finau and Lexi Thompson. Finau is coming off the back of an extraordinary season in which he seemed to finish in the top 10 every single week. The big-hitting American also enjoyed a decent Ryder Cup. It has been an eventful 2018 for Thompson, one of the most naturally gifted players on the LPGA Tour. She took time away from the game after admitting that she was struggling with some mental health problems, and then revealed that she had also been battling for years with body image issues. It is to her eternal credit that she wanted to let her many fans know precisely what was going on in her head, rather than dreaming up some fictitious injury. And she is to be applauded for being able to come back and win the season-ending LPGA Tour championship with her brother on the bag. Thompson hits the ball a long way and will not be embarrassed when playing alongside the men. The fact that the winners split $820,000 may have helped to warm them up though. They fell two behind on the front nine but reeled off three straight birdies before making the turn. Stricker/O’Hair were still nursing a one-shot lead when O’Hair eagled the 17th hole, all but ending it. It was the second QBE Shootout title for each player, who had previously won the event with different partners. Stricker, who hadn’t played much golf owing to his Presidents Cup captaincy, got to Naples a week early to bang the rust off. That was nothing unusual, as he’s such a frequent visitor to these parts he rents a house and belongs to Naples National Golf Club. It was a family affair as Nicki Stricker caddied for her husband, while Jackie O’Hair (nickname: Jackie O) walked all 18 holes with Sean. Charles Howell III, who won for the first time in 11 years recently, is also in the field alongside another massive hitter in Luke List. But the pair to keep your eye on must be Cameron Champ and Kevin Kisner, who replaces the injured Kevin Chappell. Champ, a PGA Tour rookie, has already won and produced a string of other impressive performances. He hits the ball into the middle of next week but has much, much more to his game. He has already proved that he possesses a wonderful temperament and a glorious short game. This is a young man whose name you should be making a note of. There are going to be many, many more victories to come and he is going to have a great deal of fun with Kisner, who will play conservatively and allow his young partner to go for everything. Expect to see some incredibly low scores from this pair. These two veterans of the QBE Shootout will be playing together for the second time and with their win last year, they both have won the Shootout twice with different partners — O’Hair with Kenny Perry in 2012 and Stricker with Jerry Kelly in 2009. Stricker will be playing in his 11th consecutive Shootou, which is the most starts by any individual in the field. O’Hair is starting in his seventh. Playing together for the first time after Kevin Chappell had to pull out. Kisner finished in a tie for second place at The Open Championship this year and was 12th at the US PGA Championship after being second through two rounds. Champ is the latest PGA Tour sensation. Varner is a Shootout rookie and Watson returns for a fourth time. Watson was ranked ninth in driving with a 312-yard average and Varner was 18th with a 305 average this past season. Watson is one of two players in the field to win three times in 2018. Varner has yet to win on the PGA Tour but won the Australian PGA in 2016. DeChambeau is the other three-time winner this season in the field and returns for his second Shootout while Na, who won at The Greenbrier this year, is a rookie in the event. This Virgo pairing should work well together. While Na is 10 years older than DeChambeau, he was born on September 15 and DeChambeau on September 16. And they each have a unique approach to the game! This twosome out of Sea Island, Ga., is a combination of a rookie to the Shootout and a past winner. Love, playing for the first time since 2012, won with Tom Kite in 1992. Kizzire picked up his first two career victories this past season at the Mayakoba Golf Classic and Sony Open in Hawaii. Love, the oldest player in the field at 54, is a World Golf Hall of Fame member with 21 career victories and can still play a bit. Both are making their second straight and second career appearance. Perez teamed with Brian Harman last year to finish third and Stanley was 10th with Russell Henley. They have a combined five career victories on the PGA Tour. The explosive Perez has won two of his three in the past two seasons and has calmed down as he has hit his forties. The international pairing for this year’s tournament. Grillo, the 2016 PGA Tour Rookie of the Year, is from Argentina and McDowell, the 2010 U.S. Open champion, is from Northern Ireland. Both have team experience. 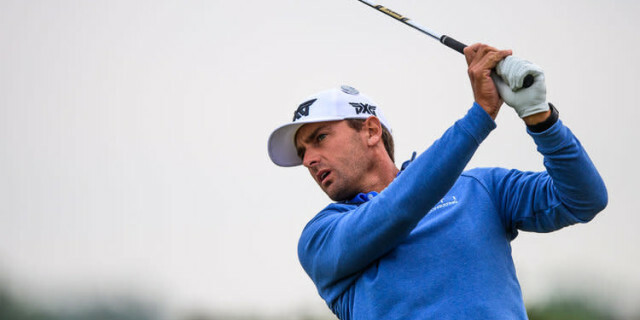 Grillo was on the 2017 International team at the Presidents Cup and McDowell is a four-time Ryder Cup participant for Europe and holed the winning putt at Celtic Manor in 2010. Two of the 18 players returning to the competition but will be partners for the first time. A combined seven career PGA Tour wins. Both are ranked among the top 50 in the world. These two have a combined 80 top-10 finishes in their respective careers, Hoffman with 48 and Woodland with 32. Woodland recorded two top-10s in the last month of this season and has continued his good form. Another Shootout veteran paired with a first-time competitor. Howell will be making his 10th start in the event. List just finished his fourth season on the PGA Tour and recorded five top-10 finishes, matching his 2017 performance. Howell is ranked 21st on the Tour’s Career Money List with getting on for $40m - and he has finally remembered how to win again. Donald, the former World No. 1, is making his second start and first since 2016 and is paired with a newcomer to the event, who had a breakthrough victory on the PGA Tour in 2018 at the Valero Texas Open. Donald won the 2004 World Cup with Paul Casey and has represented Europe in four Ryder Cup competitions but is now in search of past glories. A thoroughly decent man.